In a kadai put one tablespoon ghee and when it is hot, add ragi flour and fry on medium flame till nice aroma comes out. 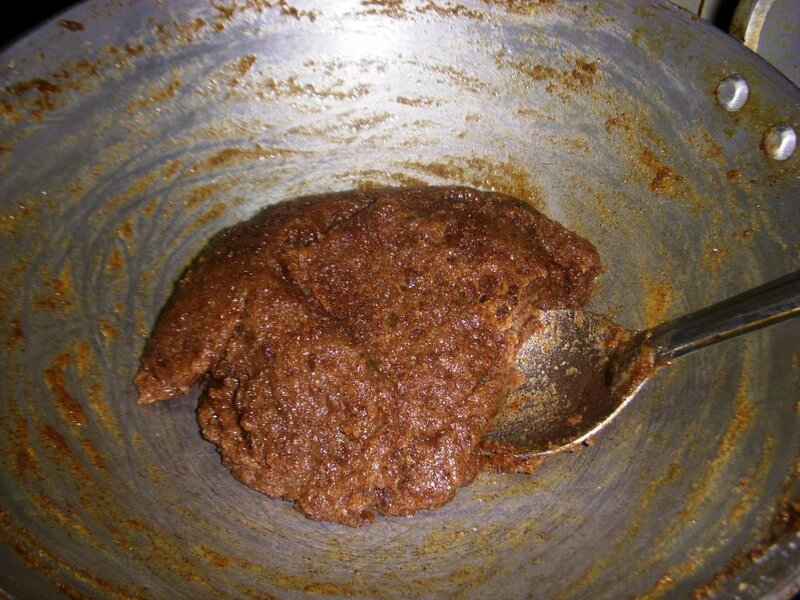 Put jaggery powder in a thick bottomed vessel and add two cups of water and bring to boil. When it starts boiling and all the jaggery melted well, remove and strain it. Add jaggery water and mix thoroughly. When it starts thickening, add khoya. Keep it on medium flame and stir continuously till it become thick. Add remaining ghee and mix well. Finally add cardamom powder and mix well. Fry the cashew nuts in a teaspoon of ghee and add it to the halwa. Note: Instead of khoya, we can add milk powder too. Nice way to utilize the benefits of Ragi..a good recipe! 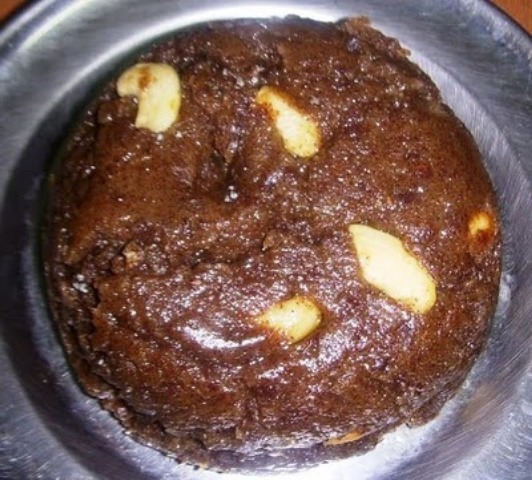 Ragi halwa is a very good sweet to get the benefits of ragi. We can use skimmed milk powder to reduce fat for diet-conscious people. Yes Vidya. Adding skimmed milk powder will definitely reduce the fat content. In fact, I prefer this halwa without adding “Khoya” or any other fat. 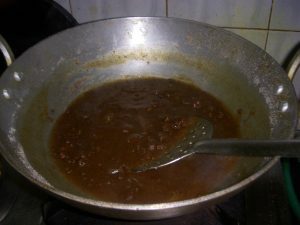 Just fried flour and jaggery – may be slightly hard, but the taste and goodness remain same. can we use sugar here instead of jaggery? will it alter the taste? Jaggery is rich in iron and it is the reason we add it to this halwa. You can use sugar and taste will be slightly differ. Can this sweet be done without adding milk powder or khoya? Yes. We can do it without milkpowder or khoya. You can also substitute sugar with jaggery. 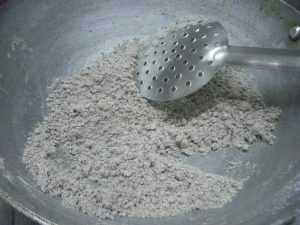 Check here for the recipe http://www.kamalascorner.com/2007/09/wheat-flour-kesari.html (Instead of wheatflour you can prepare it with ragi flour). Very nuitrious. Can we prepare syrup of freshly boiled milk and jaggery and then add it to roasted flour? Yes. You caqn try that combo also.